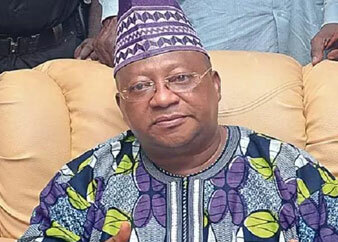 The Government of Osun on Sunday said it is still in shock over the sudden death of the first Civilian Governor of the state, Alhaji Isiaka Adeleke. The Government described as a nightmare, the news of the death of one of the illustrious sons of the state. In a short statement signed by the Director, Bureau of Communication and Strategy, Office of the Governor, Mr. Semiu Okanlawon, the government said the death of Senator Adeleke is hard to accept. who is far away in China on state assignment is still speechless and in mourning. “While the government awaits the reports of the autopsy which is being conducted, we can only calm our people to take this huge and incalculable loss with equanimity. “Alhaji Adeleke, no doubt, has served our dear state well. First as its Civilian Governor and currently as a senator of the Federal Republic of Nigeria where he has provided adequate representation for the people of his senatorial district and the state. He was a politician with towering dossier. “We find this loss inexplicable but we are restrained by the fact that we cannot query the verdicts of our Creator, the Almighty. “We commiserate with the good people of Osun over this sad loss. We are still in shock,” the statement added. The post Adeleke: We’re still in shock over this nightmare – Osun Govt appeared first on Vanguard News.